No doubt about it, this is a cosy pub. The carpet on the floor, the friendly staff, the lively banter; it has all the right attributes. This is what was going through my mind as I ordered my first pint so I was feeling warm, fuzzy and generally happy with my lot. 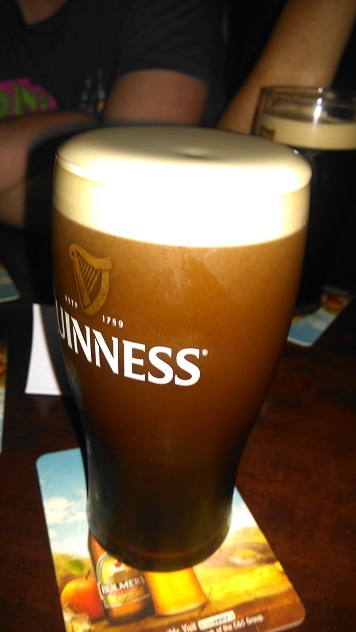 The pint, a fiver on the head, was expensive but I was expecting great things so didn’t let the price get me down. It looked great, really creamy looking head, the stage was set for this to be right up there. The creamy head obviously provided a great lip-flop & I took a good long gulp. I tasted long & hard, I wanted it to be a success but unfortunately it just wasn’t up to it. It gave me that feeling that I may have been misled. Having a few more good slurps confirmed my initial thoughts. There was an inkling of that sharpishness that can ultimately lead to a squinty-wince face of a finisher & this one, though not by any means in the absolutely brutal category, turned out as expected. I had another to be safe but the result was the same. This is a lovely spot, they just need to make an effort with their Guinness to be able to justify charging €5 a pint in here. 2/4; Guinneslovers, avoid it.